A twist on a normal bean bag this is a sofa-shaped bean bag settee. Perfect for use in classroom book corners or cosy areas for children to sit and share a story, read together or work together. 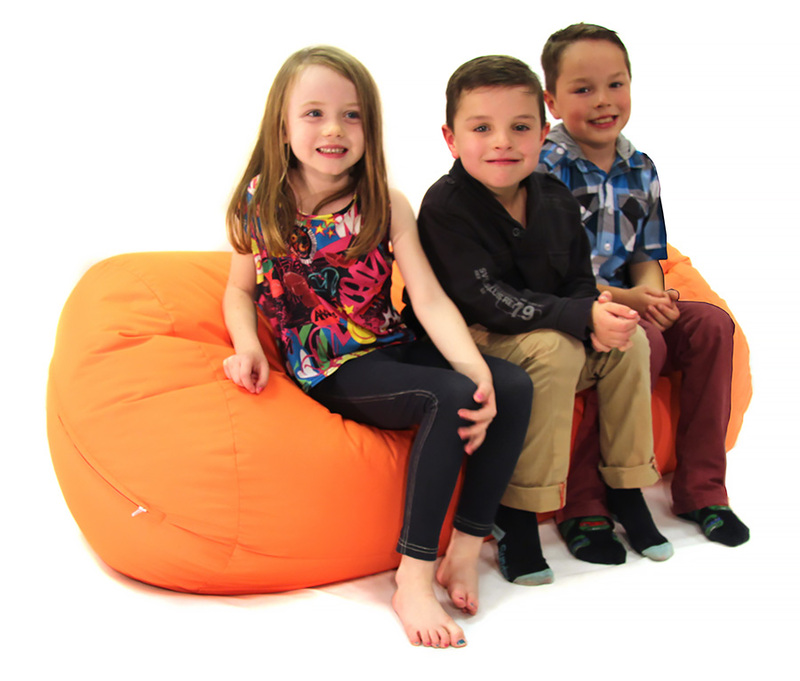 At 1250mm wide this children’s bean bag comfortably seats up to three young children. Available in 15 bright colours, this school bean bag has a tamperproof zip and fully complies with relevant British safety standards. Designed for use in busy education settings, the fabric covering is hard wearing and water, urine and UV resistant. All of our bean bags are filled with fire retardant polystyrene beads. This bean bag is water resistant so can be used outside as well as indoors – ideal for Reception classrooms in primary schools where children flow freely between indoor and outdoor learning areas. The bean bag is not waterproof so we would advise it is not left outside or used uncovered in wet weather. Manufactured to order and dispatched within 5 working days. Please note: for this product delivery is free to most areas of mainland UK. Please check our delivery page for postcode exceptions where a delivery cost may be charged.